Once again, the January transfer window (and the associated interacting between scouts, player agents, club investors, sporting directors and presidents) comes to an end, freezing the current European club rosters all the way until Summer and making us wonder who won the prize for “bargain buy” or “overpriced fatty” of the month. And since I’m such a nice guy, I have arranged (with some great help from La Gazzetta dello Sport) a practical table summary for all the INGOING and OUTGOING TRANSFERS of the Winter “CALCIOMERCATO“, right here on mCalcio.com for your viewing pleasure. No need to thank me, the pleasure’s all mine. Unlike other European leagues (see Arshavin to Arsenal, etc.) there weren’t many last-minute “big signings” in Serie A this week. The major ones seemed to concern players leaving actually, particularly in the case of Inter Milan. Indeed, the Nerazzurri simultaneously got rid of two players who had been struggling to find space at Appiano Gentile, namely Ricardo Quaresma and Olivier Dacourt who will both go on loan to EPL clubs, respectively Chelsea and Fulham. After getting us so excited back in September, the Trivela king is hoping that Luiz Felipe Scolari and Stamford Bridge will provide a more welcoming ground than José & the San Siro boos. Some interesting moves also surrounding Roma and concerning primarily the backline. 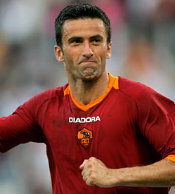 After a lot of speculation it seems that out-of-favor Christian Panucci will eventually be staying at Trigoria, at least until the end of the season. There had been several offers (from Hull City notably) for the experienced right-back, who apparently did not like his proposed destinations too much. Which is really too bad for both the player and the Giallorossi, who did not include Panucci in their UEFA Champions League list. On the other hand, Pradè & friends acquired the playing rights of Souleymane Diamoutene earlier this month, and completed their defensive reinforcements with Udinese right-back Marco Motta. With Loria out chasing butterflies on the field and Cassetti injured for quite some time, no doubt they’ll be needing them too. No major moves for Juventus (who could have used a few, especially with Chiellini and C.Zanetti joining the injury list) or AC Milan (except for the transfers of David Beckham on loan and Gremio fullback Felipe Mattioni, both of which were announced much earlier in the month), while Fiorentina‘s big trades (Giampaolo Pazzini to Sampdoria for €9m + the loan of Emiliano Bonazzoli, as well as the sale of Pablo Daniel Osvaldo to Bologna) had occured earlier as well. In other news, some more on-loan moves: Nicola Amoruso from Torino to Siena, Stefano Okaka Chuka from Roma to Brescia. 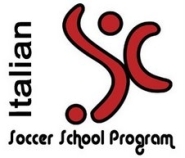 This entry was posted on Tuesday, February 3rd, 2009 at 5:20 pm	and is filed under Atalanta, Bologna, Cagliari, Catania, Chievo, Fiorentina, Genoa, Inter, Juventus, Lazio, Lecce, Milan, Napoli, Palermo, Reggina, Roma, Sampdoria, Serie A, Siena, Torino, Transfer News & Rumours, Udinese. You can follow any responses to this entry through the RSS 2.0 feed. Both comments and pings are currently closed. Wouldn’t Thiago Silva count under Milan’s in? Not really, since he’ll only join the club in July 2009. Weird. So technically now, he’s just hanging around with the Milan players pro bono? Pro bono?? Ahah I really don’t think so. I think Milan are paying him, he just can’t play with them yet. It’s kinda like what happened with Pato last year. Except then, the club was waiting for the the player to turn 18, whereas now it’s just a matter they already have reached the maximum number of non-EU nationals (Sheva & Viudez).